National Rug Cleaners, Inc., has been providing commercial services in the metro Atlanta area since 1997. During this time, we have had numerous opportunities to provide services to many customers. We provide a high quality of workmanship with over fifteen years of experience servicing both commercial and residential cleaning needs. Our cleaning products are safe, non-toxic, environmentally friendly and biodegradable. We place a high priority on servicing you as the customer and use only the safest, most effective products. Once again, we thank you for taking the time to browse our site, and we hope that you will give us an opportunity to service your commercial cleaning needs. 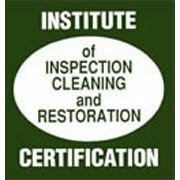 National Rug Cleaners, Inc., provides professional pressure washing services to our commercial clients. We understand the importance of the outside cleanliness and the appearance of commercial buildings and properties. Our outside pressure washing services include sidewalks; curbs; drive-thru areas; parking decks; and dumpster pads. We offer one-time pressure washing and maintenance-level pressure washing to provide complete service to restaurants and other commercial businesses. National Rug Cleaners, Inc., offers commercial stripping and refinishing of vinyl tile and commercial stripping and waxing of hard floors. We have spent many years looking for the right products to use to strip floors and to find high quality finishes that leave the floors looking new. Please call us to schedule an appointment for an evaluation and estimate. You might wonder why a carpet cleaning company would offer other floor services, and if they would actually be able to offer high quality work. Over the years we saw the need to diversify our services to be better able to serve our customers. We accomplish this by being able to offer complete commercial floor and upholstery services.